Native Instruments´ excellent iOS DJ app Traktor DJ is currently available for free on the App Store. As yet, we´re unsure how long the app will be available as a free download, so we´d suggest hitting download ASAP. 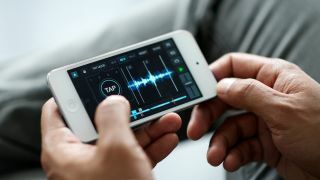 Read our review of Traktor DJ to learn more about the app, and check out last week´s hands-on look at the new Traktor Kontrol Z1 - NI´s first iOS ready DJ controller and soundcard.